Quickstep Laminate flooring has been on the market for a number of years building up renowned repor. The Belgium based brand developed by Unilin has seen a recent surge of interest in their laminate range Impressive and Impressive Ultra. 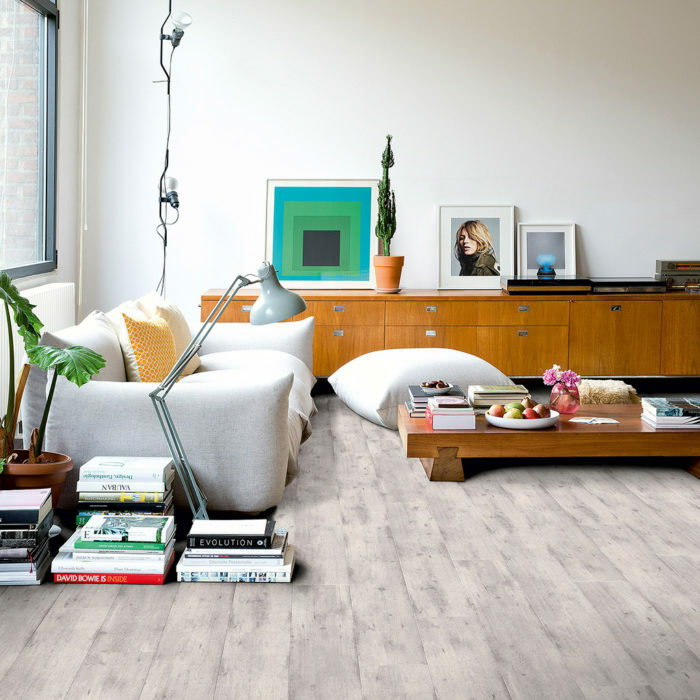 Quickstep Impressive is a high quality, authentic looking water resistant 8mm laminate. Featuring unique HydroSeal technology, the Impressives’ surface will resist moisture seepage making this perfect for use in bathrooms, kitchens and porches alike. 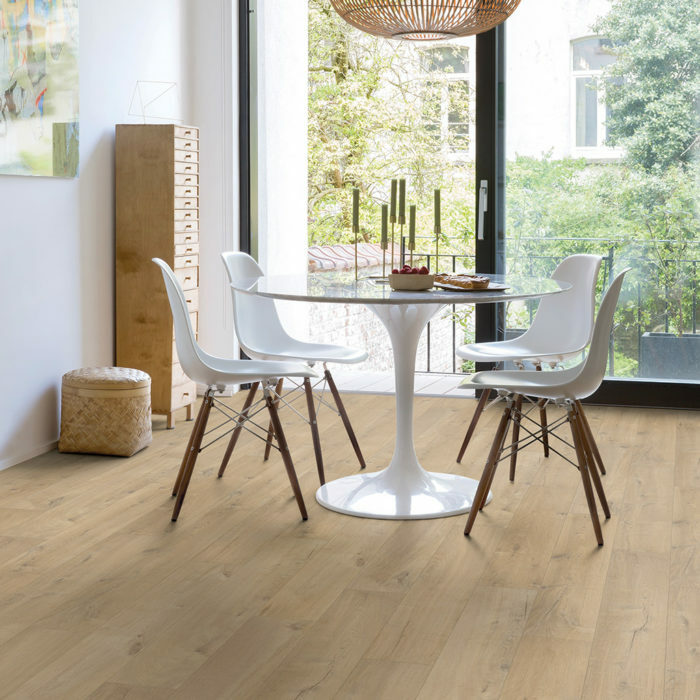 As with all QuickStep Laminates, the Impressive and Impressive Ultra are fitted with Scratch Guard technology ensuring your flooring will last longer against microscratches and wear. Is Quickstep easy to fit? Any Quickstep laminate can be fitted with ease thanks to the patented UniClic Click System which allows the user to choose how they install the flooring. How heavy duty is Impressive? 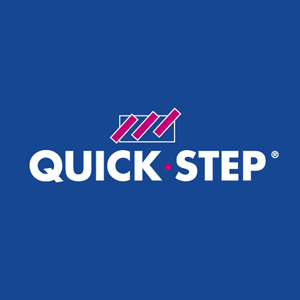 Quickstep Impressive is available in 2 different versions, the 8mm standard Impressive and the 12mm Impressive Ultra. The difference? The standard impressive is rated for heavy domestic to light commercial traffic and the 12mm thickness is rated for use in light to heavy commercial environments like shops! to see the complete selection. Arrange your free estimate for our outstanding fitting service.